This tutorial will guide you to configure Instant Articles (FBIA) with AMPforWP plugin. How to configure Instant Articles? 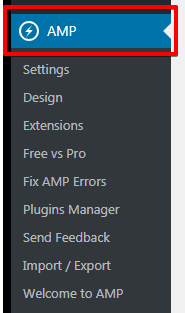 From the dashboard we go to left hand side in Menu bar go to AMP option panel. 2. Click on Settings Option as shown in the below screenshot. 3. Next, scroll down to the Settings ->Instant Articles option will be display on screen. 4. Ones you click on Instant Articles option ->Facebook Instant Articles Setup will be display , just you need to enable Instant Articles option. 5. Ones you enable this Instant Articles option it will be display all option of Facebook Instant Articles Settings on the screen. 6. In this Facebook Instant Articles Feed URL option insert Feed URL. 7. In this option you need to insert Your Facebook Page ID. Follow These instructions. to sign up to Instant Articles and get your Facebook Page ID. Then Submit this feed URL to instant articles https://www.facebook.com/instant_articles/signup. 8. click on the Save Changes button. Ones you follow the basic set up of Facebook Instant Articles Setup it will be work on your Instant Articles. Go to the Settings ->Permalinks and Resave the permalinks. Above steps are basic set up, if you want Advance setup you can then follow the steps below. 1. Facebook Instant Articles Settings in this option you can add extra setting related Instant Articles likes Number of Posts, Author Meta, Author Bio, Related Articles. 3. Facebook Instant Articles Settings ->Number of Posts in this option you can add number posts like 500 , 1000, 10000. if you leave this empty it will generate all post(500). 4. If you enable Author Meta option are displayed at the top of the article like author of your instant article. 5. Ones you enable Author Bio option it will be display image of author, Name of author and description about author at the end of the instant article. 6. Enable Related Articles option it will display related articles show at the bottom of the instant articles. To setup Ads in FBIA, enable the “Advertisement” From AMP options Panel-> Settings-> Instant Articles -> enable the Advertisement option. Enable Advertisement option it will show advertising on Instant Article pages. Ones you enable Advertisement option it will show other option related to Advertisement. 4.When you click on Select Advertisement Format option list will be show. select the type of advertisement on instant article page you want to display. 5. Ones you select the Facebook Audience Network you need to add Audience Network Placement ID. By using Facebook Audience Network you can generate Placement IDs and integrate Audience Network ads within your Instant Articles. 6. Select the Custom iframe URl add Custom iframe ad source URL. 7. Select the Custom Embed Code option. By using this option you can add your Custom Embed ad code. 8. When you select this option list will be show. You can select how frequently you’d like ads to appear in your article by changing the ad density. If nothing is specified, the ad density will default to one ad per 250 words. 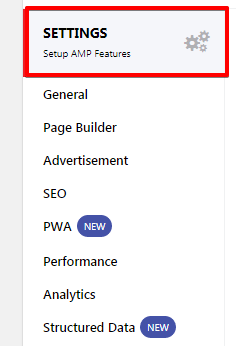 If you want to add Analytics in FBIA, then enable the “Analytics option” from AMP options Panel-> Settings-> Instant Articles ->Facebook Instant Articles Settings. Enable Analytics code can be added to your Instant Article. ones you enable this option you need to enter the Analytics script code in the text box and save. By using Analytics option you can track of visitors. Go to AMP options Panel -> Settings -> Instant Articles -> Facebook Instant Articles Settings -> Crawler Ingestion. 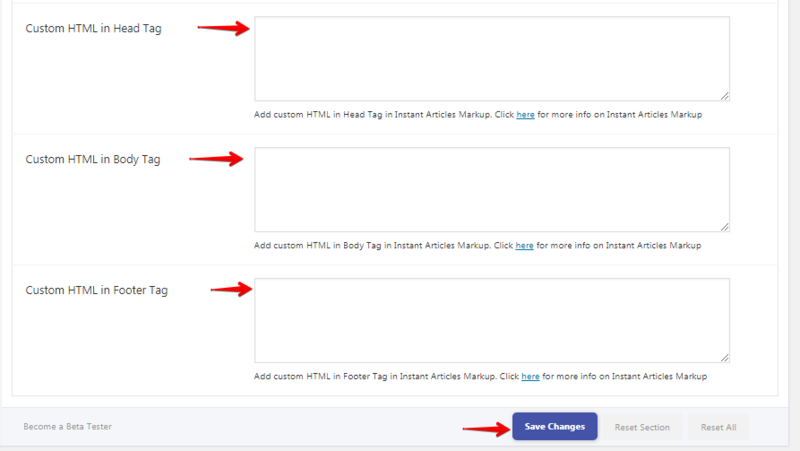 If it is Facebook Article have Instant Articles then it will automatically add meta tag (ia:markup_url) . How to add Custom HTML in Head , Body and Footer Section. 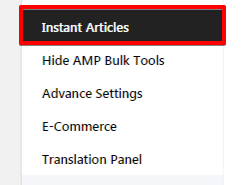 Go to AMP options Panel -> Settings -> Instant Articles -> Facebook Instant Articles Settings -> Custom HTML in Head Tag. 1.In this option you can Add custom HTML in Head , Body and Footer section in Instant Articles. once you completed all configuration click on the Save Changes button.